Al Hafiz Co. emerged on Kuwait’s business horizon in 1996. This multi-faceted enterprise upgraded its system from analog to digital in the year 2000. With technologically advanced equipment and state-of-the-art techniques, we can proudly call ourselves the most updated, competitive and trustworthy providers of Digital Printing Solutions in Kuwait. Our Copy Center is equipped with latest printing machinery to appease individuals and business professionals from diverse backgrounds. Digital printing is a recent concept with its origin in early 1990s. 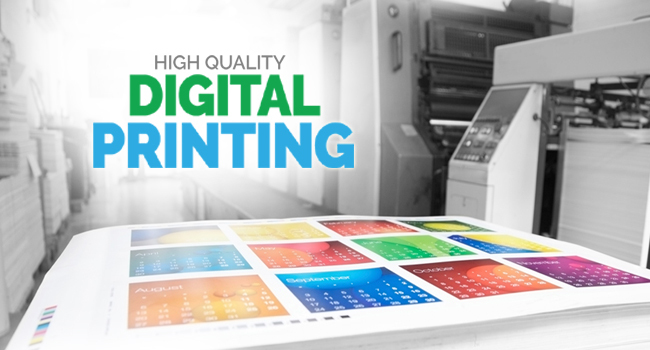 Digital printing is faster and easier to execute as images are sent directly to the printers using digital files. It not only saves time but is also cost effective. Digital printing has made it easier for even a layman to get high quality prints of images transferred from digital cameras and scanners. Digital printing has made possible for printing of as little as one to unlimited number of files with consistent print quality. DIGITAL PRINTING @ AL HAFIZ CO.
At Al-Hafiz co., we provide state of the art digital printing services to our esteemed clients. Digital printing has made it possible for us to provide you with faster, highly efficient and personalized solutions to meet your distinctive needs. With our experience of over two decades, latest equipment and team of untiring professionals, we cater to the needs of present day business professionals and individuals with utmost level of satisfaction. At our digital printing center, we can produce fully customizable brochures, catalogues, flyers and banners, books and magazines, maps, educational and business presentations, thesis and dissertations and much more. Digital fabric print is another cutting edge service. High quality digital Images, family pictures, corporate images, favorite quotes and text messages can be printed on bags, T-shirts, cushion covers, bed sheets, curtains and upholstery. You can get in touch with us through our website and instantly request a quote. Our sales team can be contacted 24/7 through email. Another faster and easier way is through our recently launched Al Hafiz App, which is available for FREE download.